"These discoveries add much more detail to our picture of the landscape during the Turonian period than we had previously," says Michael D'Emic, assistant professor of biology at Adelphi, who organized the study. "Since Darwin, the evolution of flowering plants has been a topic of debate for paleontologists because of their cryptic fossil record. 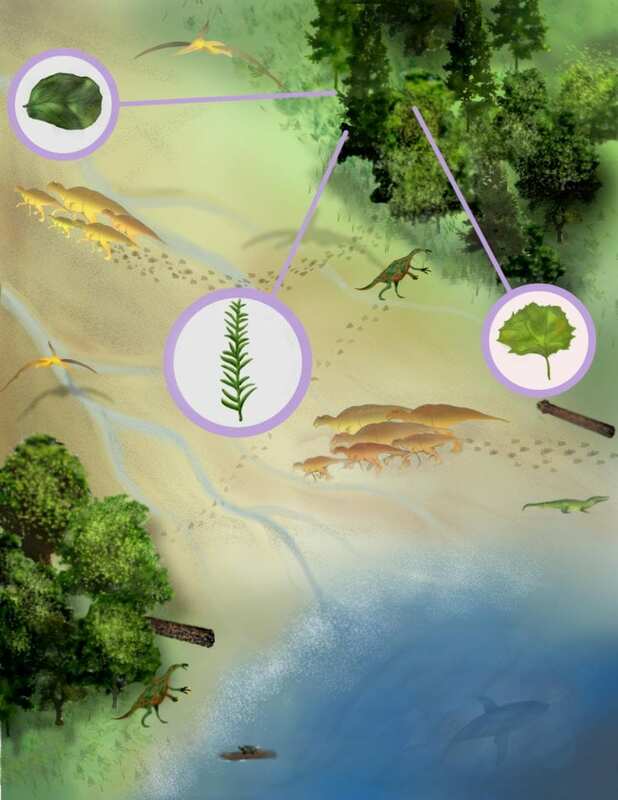 Our paper shows that even today it is possible for a single fossil specimen to change a lot about what we know about the early evolution of the group. "Understanding the past is the key to managing the future," D'Emic added. "Learning how environments evolved and changed in the past teaches us how to better prepare for future environmental change." "Until now most of what we knew about plants from the Ferron Sandstone came from fossil pollen and spores," says Nathan Jud, co-author and assistant professor of biology at William Jewell College. "The discovery of fossil wood and leaves allows us to develop a more complete picture of the flora." The discovery was funded by a grant from National Geographic Committee for Research and Exploration to Dr. D'Emic. The paper, titled "A new fossil assemblage shows that large angiosperm trees grew in North America by the Turonian (Late Cretaceous)," has been published in Science Advances online on Wednesday, September 26, 2018. Illustrations and copies of the paper available upon request.